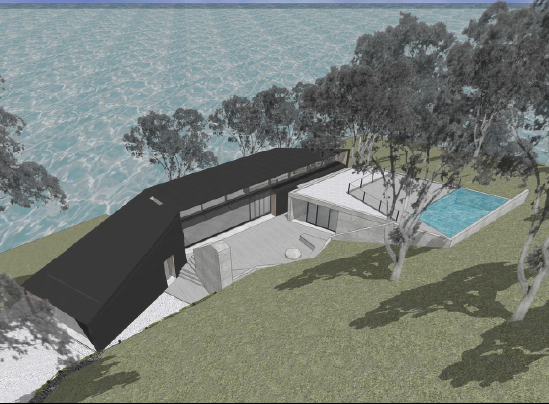 In conjunction with JCB Architects and Grant Amon Architects, Perry Town Planning obtained planning approval for the construction of two architecturally designed residences overlooking the village of Separation Creek on the Great Ocean Road. The challenging regulatory framework for such a prominent site made for a lengthy pre application and permit process, relevant planning controls were the Rural Conservation Zone, removal of significant quantities of native vegetation, Bushfire Management Overlay and Country Fire Authority requirements, Erosion Management Overlay restrictions, re-subdivision of lots and common property as well as liaison with a variety of Council officers and local residents. The outcome was an approval under delegated powers with no objections and immediate receipt of endorsed plans. If you would like to discuss this project or have a similar project you would like to discuss please contact the team at Perry Town Planning on 03 9662 1999 or by email at info@townplanning.com.au.